A spokesman for German Chancellor Angela Merkel said there was currently “no basis” for talks on a new bailout and the ball was in Greece’s court. Germany’s economy minister has warned that any unconditional debt write-off would destroy the single currency. “I really hope that the Greek government – if it wants to enter negotiations again – will accept that the other 18 member states of the euro can’t just go along with an unconditional haircut (debt write-off),” said Sigmar Gabriel, who is also Germany’s vice-chancellor. “How could we then refuse it to other member states? And what would it mean for the eurozone if we’d do it? It would blow the eurozone apart, for sure,” he added. 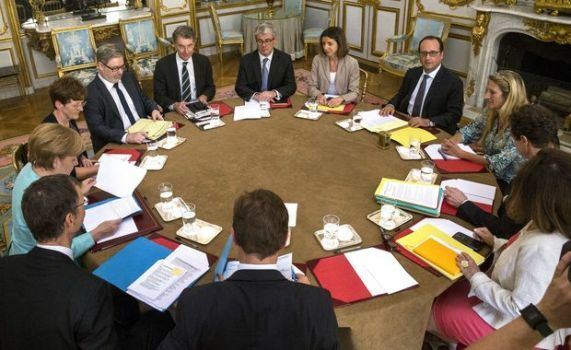 Eurozone finance ministers are to meet on Tuesday followed by a full summit of eurozone leaders. According to a Greek government official, Prime Minister Alexis Tsipras is expected to present fresh proposals at the summit. Mr Tsipras has noted that a recent IMF assessment confirmed that restructuring Greece’s debt of more than €300bn (NZ$496) was necessary. In another development, Greek officials named Euclid Tsakalotos to replace outspoken Finance Minister Yanis Varoufakis, who resigned yesterday. Meanwhile, the European Central Bank (ECB) is discussing whether to raise its emergency cash support for Greek banks, which are running out of funds and on the verge of collapse. Capital controls have been imposed and people are queuing to withdraw their limit of 60 euros a day. Greece’s Economy Minister, Georgios Stathakis, told the BBC the ECB had to keep Greek banks alive for seven to 10 days so that negotiations could take place. Jeroen Dijsselbloem, head of the Eurogroup of finance ministers, said the result of Sunday’s referendum was “very regrettable for the future of Greece”. “For recovery of the Greek economy, difficult measures and reforms are inevitable. We will now wait for the initiatives of the Greek authorities,” he said. Mrs Merkel’s spokesman, Steffen Seibert, said Greece had to make the next move. “It is up to Greece to make something of this. We are waiting to see which proposals the Greek government makes to its European partners,” he said.